This week Peyton Manning retired at the Denver Broncos Headquarters at Dove Valley. Number 18 saying goodbye to the game that he transformed for 18 seasons. I may have been a fan of the NFL since the mid 90’s, following the Broncos before the back-to-back Elway Super Bowls, but it’s only been the last few years I’ve fallen into the super fan category, largely because of Peyton. To give you a timeline at the end of the 2011 season Manning was released by the Indianapolis Colts, the owner Jim Irsay thought it was time to move on, after Mannings’ four neck surgeries and the cap hit they’d take on a $28 million dollar bonus payable to Manning. 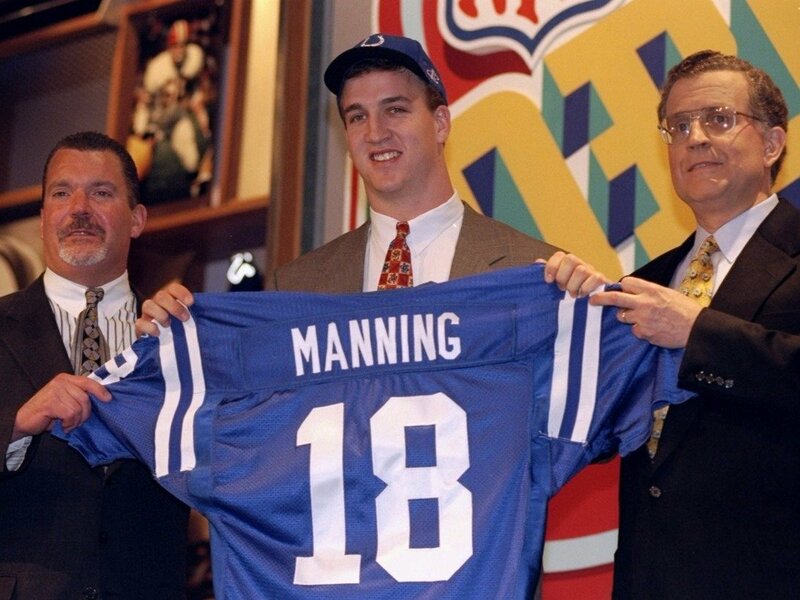 The Colts had the number one pick in the draft; it was a hotshot Quarterback from Stanford called Andrew Luck, so Irsay mortgaged the ‘now’ for the ‘future’ and Manning was released. 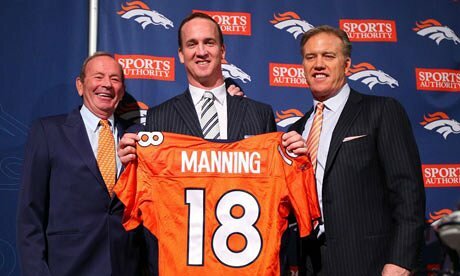 This sent Peyton Manning into uncharted waters, it made him the most sought after player in free agency history. Reportedly there were 12 teams interested in him, knowing if they signed Manning they instantly became a Super Bowl contender, 12 teams were whittled down to 3, the San Francisco 49ers, Tennessee Titans and the Denver Broncos. When Broncos General Manager John Elway watched Manning work out at Duke University that was all he needed to see, the Broncos were all in. Now, it was up to Manning to decide. He chose Denver and they rewarded him with $96 million over 5 years. Elway and Broncos owner Pat Bowlen were in it to win Super Bowls, they knew they couldn’t with current QB Tim Tebow, even though the previous season Tebow had lit up the NFL by taking Denver to the playoffs, ‘tebowing’ was everywhere. 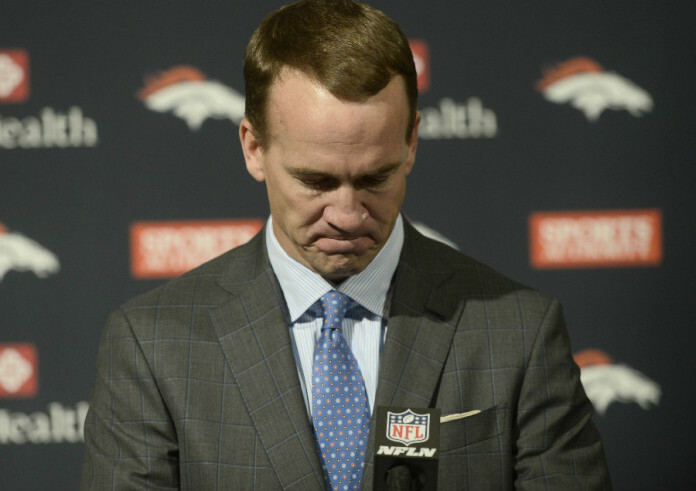 Peyton ‘The Sheriff’ Manning rode his horse into Denver. It was surreal, the Broncos were getting a Hall of Fame QB, the first one of that quality since Elway retired after winning Super Bowl 33, I called my mate and fellow Broncos fan BT, “Can you believe this BT, we are getting Peyton Manning”. Denver sports radio went into meltdown. As an NFL fan I knew about Manning and all his accomplishments with the Colts, see winning Super Bowl 41, but I had to find out more. Who exactly was this guy that would lead the Broncos for years to come? 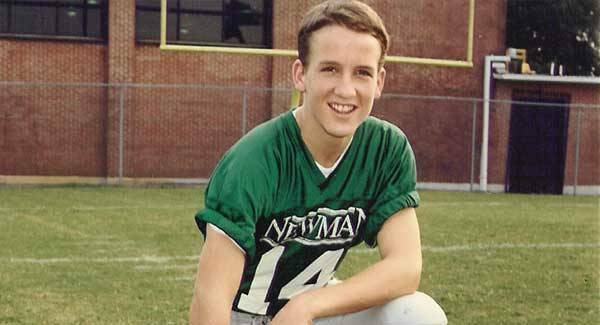 The son of Archie Manning who was an NFL QB with the New Orleans Saints, a high school prodigy, the number 1 pick in the draft out of the University of Tennessee and setting ‘Star Wars’ numbers with the Colts. When Manning arrived in Indianapolis it was a basketball and motor racing town, since 1984 when the Colts relocated from Baltimore they made the playoffs once in their first 11 seasons. Mannings’ arrival changed everything, over the course of his 14 seasons with the Colts; they went to two Super Bowls and went to the playoffs an astonishing 11 times. Without that success the new Colts stadium that was built in 2008 never gets constructed, it’s referred to ‘the house that Peyton built’, and for good reason. He transformed the town in other ways, by giving back to the community through the Peyton Manning Children’s Hospital and by bringing the Colts into the NFL upper echelon, they would never have been awarded Super Bowl 46 in Indianapolis if not for Lucas Oil stadium and Peyton Manning. Not to mention how many new babies born in those 14 Manning years who were named ‘Peyton’. 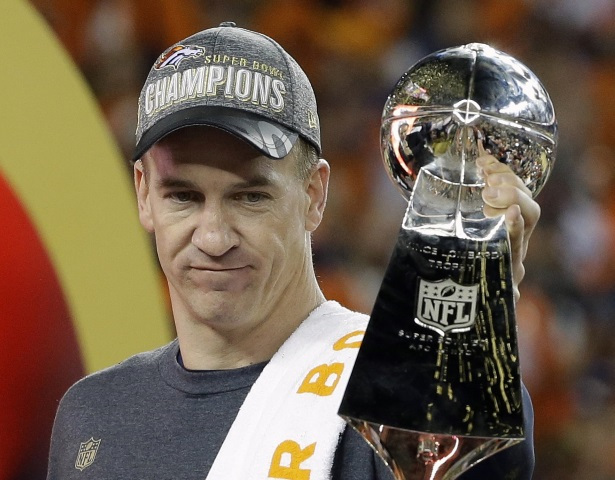 In the subsequent 4 seasons Manning spent with the Denver Broncos, they won 4 AFC West titles, went to 2 Super Bowls and racked up a 50-14 regular season record. 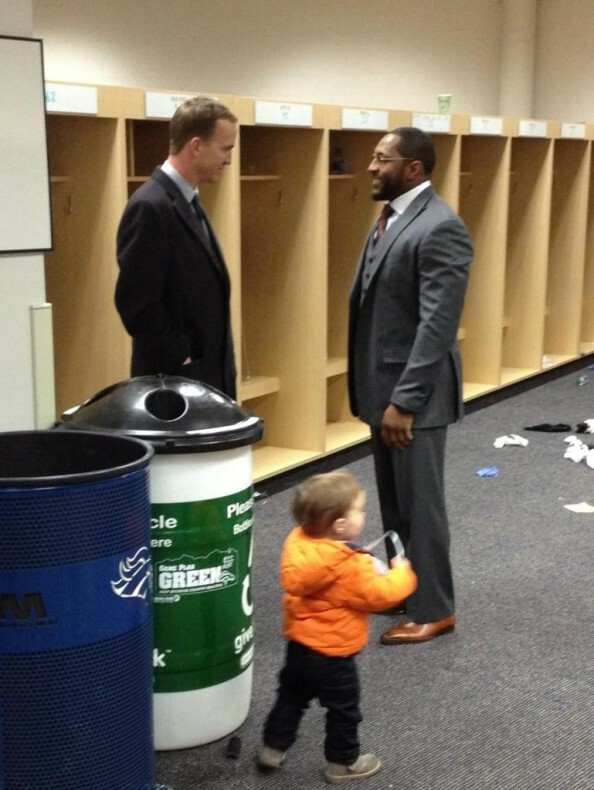 It wasn’t just the victories that defined Peyton Manning; it was the humility in the losses, like after the excruciating loss in double overtime to the Ravens in the 2012 playoffs in Denver, how Manning waited patiently in the Ravens locker-room to congratulate Ray Lewis, who was playing his last season in the NFL. Its also the notes Manning would send to players who were retiring, thanking them for what they’ve done for football, and the notes to players entering the NFL football Hall of Fame. Reportedly he would personally read the thousands upon thousands of fan requests over the years to attend weddings and birthday parties, visit sick relatives in hospital or just to write back. From Australia I tried to watch all of Mannings’ Broncos games, yelling and screaming at the tv in the process, but as the seasons’ pasted without a Super Bowl victory, I thought the window had closed, until GM John Elway built a defense this year that would help the ageing superstar win Super Bowl 50 a month ago. After 18 seasons this week ‘The Sheriff’ rode off into the sunset, he transformed the Quarterback position with signal changes, dummy calls and blitz pickups, he may never yell ‘Omaha’ again but he brought joy to the lives of many. Goodbye Peyton and thanks for the great memories. Previous PostNRL Season PreviewNext PostDid the 80’s ever really end? Ohhhh, great read DRH…very entertaining & informative (as usual)…what a guy…no wonder you became a super fan! Bye bye “Omaha”! ???? Thank you YT, they’ll never be another Peyton Manning.